Do you want to edit r your videos without annoying watermarks? 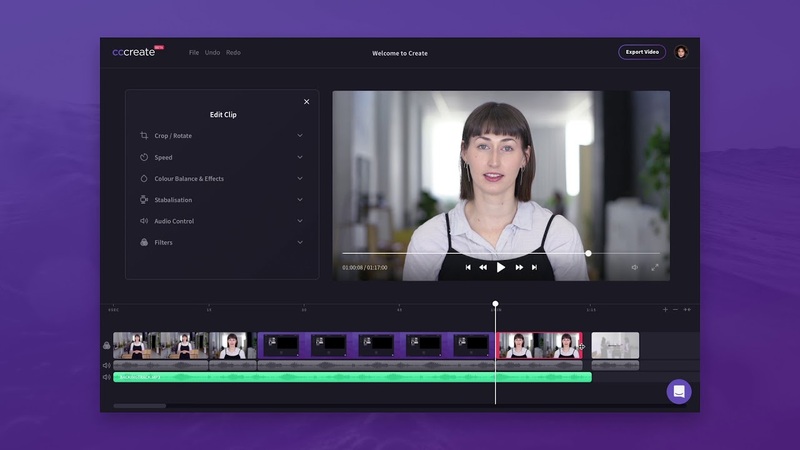 Well, check this list of the best online video editor without watermark. Edit videos currently available to anyone. Not only for the amount of video editing programs but the ease of use of these. Unfortunately, not all are free, much less cheap, even exceeding quantities of up to four figures. If some time ago I show some video editing software for windows, this time I will show you some of the best online video editors without watermark. 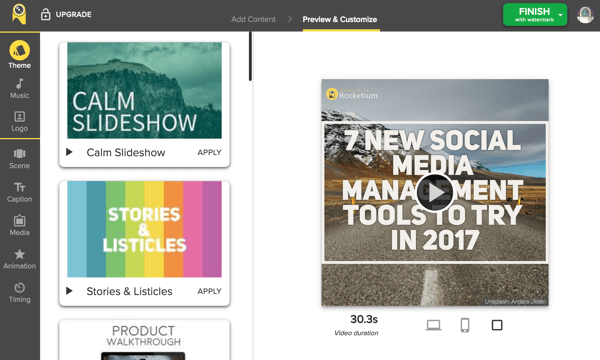 Rocketium is a straightforward but mighty online video editor without watermark. It doesn’t have too many editing tools, but it has a large number of templates and templates to edit your videos in a short time and with a certain degree of professionalism. You can add from images to voice recordings, titles, and sandwiches, as well as personalized animations. It requires registration and has a limited number of monthly videos (10 in particular). It also has apps for Android and iOS. Like the previous one, it requires a record. However, the amount of available tools has nothing to do with Rocketium. Its interface is more similar to that of a professional video editing program than to a simple web page. The best of all is that it supports the export to 720p HD qualities (for higher resolutions we will have to pay a monthly subscription). It has a multitrack edition, upload of 1 GB files and different cut and transition tools. It is also available as an application for iOS and Android. “The most powerful and flexible platform for creating online videos” This is how JW Player Editor is announced. It is a prestigious and useful online video editor without watermark. Although it cant be considered the most top of all, it is true that it is among the best Online Video editors, since it has functions such as plugins that facilitate the incorporation of the works created in this platform in WordPress. It also has the availability to monetize them, with the inclusion of advertising in them. It also has a mode for recording and broadcast live, to transmit content simultaneously in your social networks. This “LIVE” mode has a very easy-to-use interface, which makes it a streaming program to take into account and that sets it apart from most editing programs. A version of the mythical Windows Movie Maker online? That’s right, although it has nothing to do with the Microsoft tool. The best of this that you can access it without any previous registration. Also, it has different tools for clipping and adding images, audios, and videos. You can also add titles, transitions some other striking effect. Its great disadvantage is that you can only export in MP4 and not too good quality, but it is enough for most users. It is recommended to use the editor with an advertising blocker to avoid clicking on inappropriate ads. One of the best online video editor without watermark. Kizoa is a website that allows us to easily and quickly create any thematic element, such as one with photos of your last trip, one birthday, another graduation, and even the film of your wedding. To do this, you will find hundreds of templates for different themes or occasions. Likewise, this website allows you to easily share the video with your contacts on your Facebook page. For your use, you have to visit the website and click on start the project. This gives us two different options: templates Kizoa model, where it shows all the templates that exist for separate occasions and create your template from scratch. Depending on the number of images you have uploaded, your work will be shorter or longer. The tool also allows us to quickly change other details such as the titles that appear on it. Hippo Video is an online video editor without watermark quite similar to WeVideo in terms of the number of options. You can upload images, videos, and files of any kind that don’t exceed 500 MB in its free mode. Also, you can make recordings directly from the microphone of the computer or the webcam in case you have one. You can also make videos with pictures in a very graphic way and record the screen from the browser without installing programs. The only drawback is that it needs registration to be used with all its functions. If you prefer a classic video editor and very similar to iMovie, Final Cut Pro X or Adobe Premiere, then Clipchamp Create is the best option. Its interface is very similar to the programs I have just mentioned, and it has a series of relatively advanced options (titles, transitions, the possibility of adding audio, video, and images, library with customized settings, etc.). It’s free, and we can only export videos to 480p in case you don’t want to pay a monthly subscription. It should be mentioned that it is only compatible with the Google Chrome browser. Also, this does have a watermark, although it can be eliminated with third-party publishers. Undoubtedly one of the best online video editor without watermark. First, and how could it be otherwise I’m going to talk about Youtube Editor. The queen platform of the videos has its online video editor without watermark, which allows you to modify our clips. 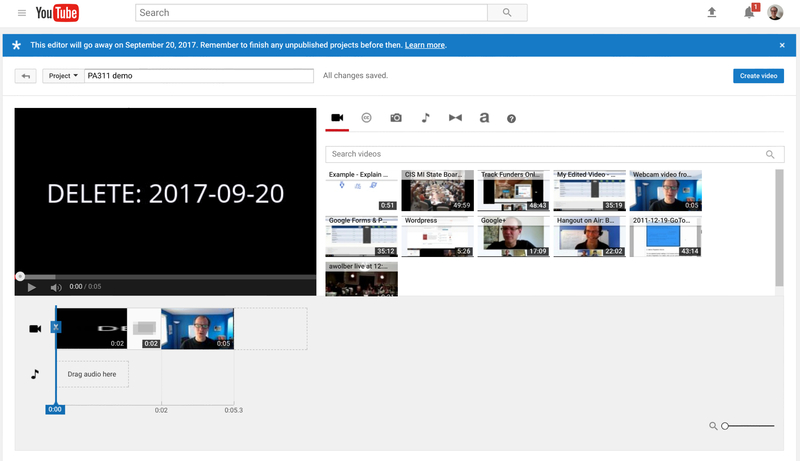 Also, with this tool, you can upload your videos to YouTube in an easy and fast way. The main advantage of this editor is that it allows you to forget about any program and upload yours directly to the platform, although evidently, the results will not be the same as professionals that can give you programs like Sony Vegas or Final Cut. However, if you are starting, you may not need all the tools provided by these programs, and with what “Youtube Editor”gives you enough. As a disadvantage of this tool, it should be noted that it doesn’t allow exporting or uploading them to a different platform other than YouTube. While it is true that you can find extensions that allow you to download videos once uploaded, to be able to show them privately or upload it to other digital platforms. 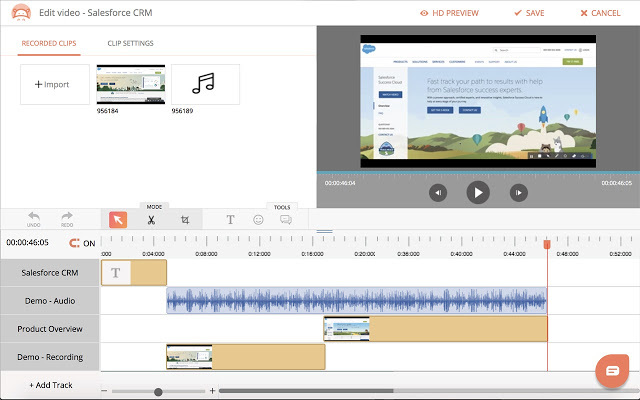 In its “editor mode,” it has an audio track and another audio-visual one, in which you can embed different fragments of clips until you get the project that you want. It also has various effects and transitions, as well as audios and photographs with user licenses so that we can complete our video if we consider it appropriate. As more advanced options, it has brightness adjustments, automatic color correction or stabilizer, although these options are quite limited and don’t always give the result you want. In summary, this is a very intuitive and straightforward to use the online editor without watermark, which is excellent for small projects, such as most clips that YouTubers carry out. So far those were the best online video editor without watermark that you can try for free to create impressive videos. Do you know another one? Leave it in the comments section.